I apologize for not posting anything for a while. I’ve picked up a few more shifts at work in January and have had to use a lot of time to prepare for the shifts. February will be a little less busy and hopefully I’ll be able to add a lot more content then. Next week is the release of Dark Ascension around the world for the card game Magic the Gathering. I’m pretty excited about the cards and can’t wait to draft them. The new zombies, werewolves, and flashback cards with an added punch have me especially excited. As of Saturday, 77 of the 158 cards have been announced, with the remaining 81 cards hopefully coming before next weekends pre-release tournaments. If you are in Nagoya and want to take part in the pre-release tournaments, the times and locations are as follows. The times could change, so please call ahead of check out the place to confirm the start time just in case. Sunday: Amenity Dream, Hobby Station (Osu and Meitetsu Eki, and Big Magic. 12 pm start time, 11:30 registration. I believe the cost will be around 3000 yen, maybe a little cheaper, depending on the type of game. There will be sealed deck games and booster drafts through out the day. The cards will be entirely in Japanese and no English cards will be used, so you should study the visual spoilers and also print out the cards/info before going into the tournament. I believe there will also be another tournament going on at the Yellow Submarine hobby shop in Sakae near the TV tower as well, but I don’t have any information on that place yet. I will cover it in a future post. 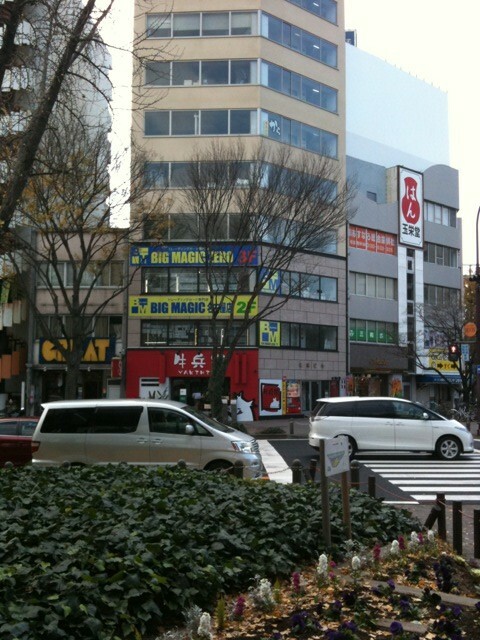 Although I thought that Big Magic would be my last hobby store profile in Nagoya, I realized that it would probably be a good idea to finish next time with both Yellow Submarine and Hobby Station Meitetsu Eki. I’ve been putting off talking about Big Magic for sometime, and I really should have because it’s a great place to play. The easiest way to get to Big Magic is by taking Meijo subway line to Yaba-cho station. You can get to Yaba-cho station from Nagoya station by going to Sakae via the Higashiyama Line, then transferring to the Meijo line there. It will be the next station on the way to Kanayama. Take the #4 exit to the street level. You should be behind the Parco department store at this point. From there, look for the expressway and walk towards it, going under it until you cross the street to the other side of the road. Once you pass under the expressway and walk to the other side, turn right and walk up the sidewalk. You should be walking uphill at this point. By the time you get to the intersection, you should be able to see Big Magic on your left side, It’s on the corner. Walk inside of the building and go up to the 2nd floor to enter the store. There are actually two levels to the store. The 2nd floor is devoted to Magic cards and the 3rd floor is devoted to the Yugi-oh card game. Big Magic has a large amount of old cards and rivals that of Amenity Dream. They carry each of the new expansions in both Japanese and English. In fact, they have the largest assortment of English cards in all of the hobby shops I’ve visited in Nagoya. Big Magic also carries many different accessories for MTG, such as boxes, card sleeves, mats, etc. It is my opinion that Big Magic also gives you a pretty good deal for singles that you want to sell, but as I said before it’s always safe to shop around before deciding to sell your cards. In my opinion, the players that congregate here are some of the best in Nagoya. This isn’t a place for newbies and if you come here for a draft you’re in for a very good challenge. I’ve never won more than 3 matches at their Sunday tournaments. It can be frustrating playing against some of the combos these experienced players use. The staff at Big Magic are good people though, and I believe that one or two of them can speak basic English to some extent. Some of the players you find here also have a good command of English and can help you figure out some cards you don’t understand, as well as wording. Big Magic usually holds two events during the week, Friday Night Magic and a Sunday tournament. The FNM event changes all of the time. Sometimes it will be a standard tournament with your own cards, and other times it can be a booster draft. The price can range from 500 yen to 1500 depending on the day and start around 6pm I believe. Be sure to check with the staff which is happening that day (NOTE: Space is limited on Friday’s and if too many people show up for FNM, who plays is decided by a lottery. Even if you show up an hour early, you can end up not playing. Due to this problem, I wouldn’t recommend FNM at BM in its current style). It seems that every Sunday in the immediate future will have a Standard Tournament starting at 11am. The cost is 500 yen and there is usually a good turnout of 30 or so people. The games usually go until 5-6pm or so, with 5-6 rounds of play depending on the turnout. I also believe that Legacy/Modern and other various matches follow the standard tournament every Sunday as well. Again, please check with the staff or their calendar to see which event is happening that weekend. 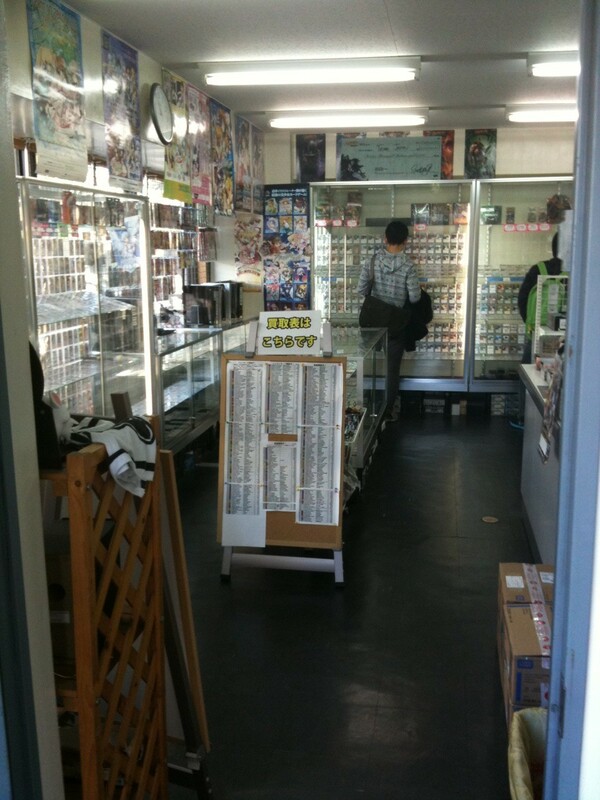 NOTE: There is a 2nd Big Magic store located near OSU kannon on the 2nd floor next to OSU 301. It is located above the Mister Doughnuts store. However, this store deals only in cards that can be used in various character based video games at arcades. If you’ve been to a Japanese arcade and seen the games where a player uses cards on a play surface to activate abilities or control players, this is where people can buy those cards. If you want to sell cards at Big Magic, here’s some information. They buy both current standard play cards as well as older cards. Their “buy” list is located right near the front of the store on an easel. It’s easy to spot as soon as you come in. Their prices probably change the quickest out of all of the card stores, so if you see a good deal here sell your cards quick! Most of the cards they are buying are rares or mythic rares, but occasionally they will buy commons and uncommons depending on their popularity at the time. As with any store you sell to, be sure to bring an ID. This can be a foreigner card, a Driver’s License, and even your passport. Even if you’re just visiting the area on vacation from overseas, it wouldn’t hurt to see if you can make some extra cash. You might make a nice profit with the Japanese yen being so strong right now! I must say that Big Magic has really helped me up my game since I’ve started playing there. My deck has slowly evolved to deal with the various meta games, but mentally the level of play at Big Magic has prepared me mentally. I’ve improved my timing, my understanding of the rules, bluffing, and various other skills that have helped me to win in other places around the city. It really does come down to that first hand you have, and making the right choice to keep it or mulligan for one less card is always tough. Big Magic has taught me on several occasions what you need to have to win, and that you need to know when to go all out. I recommend playing a few rounds here sometime! Well, for the immediate future I think that this will be the end of the Hobby Store profiles and talk about Magic in Japan, but it doesn’t meant that I’ll be completely finished talking about it. Once the weather improves and warms up, I’d like to take my readers on a tour around Nagoya to different areas and shops and recommend some of my favorite places. Stay tuned for updates and thanks for reading again. ← It’s been a rough week . . .